Normally when you think of Superman hard at work fending off certain doom and utter destruction, you think of him wearing his classic spandex suit. Well, every now and again the Man of Steel prefers a little more comfort. It is on those days when he pops on this Superman T-shirt Costume. It is designed to look exactly like his regular superhero disguise but is secretly a hundred times comfier. When ole Clark is wearing this bad boy, he is even a hundred times stronger and faster. Just a heads up, this tee may not give you the chiseled body of a god or the ability of flight. 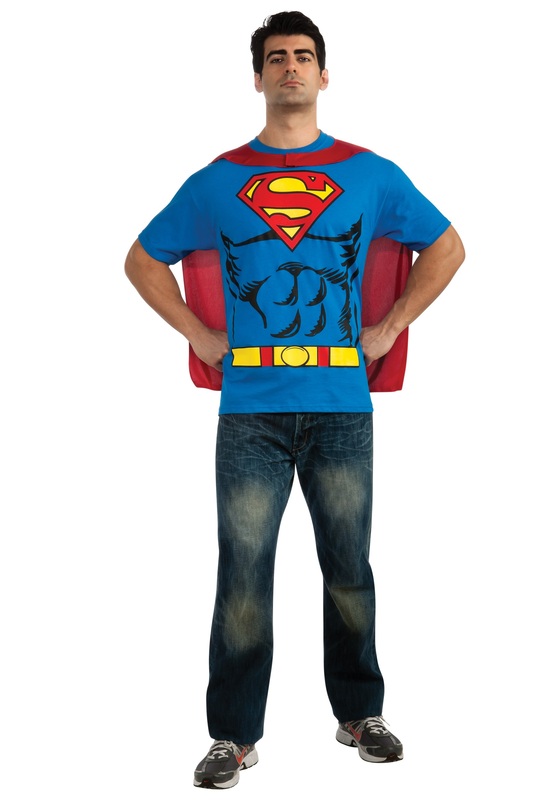 However, with the abs printed on the front and the cape fluttering behind you, people may actually start to wonder if you’re the hero we’ve all been waiting for. Oh and just a reminder, you don’t need powers to be a hero, even Superman could tell you that.